Bring a friend and a rally towel (or grab one from us) for this fun, cardio dance class! We will use the towel for added upper body toning and incorporate it into our dance moves throughout class! 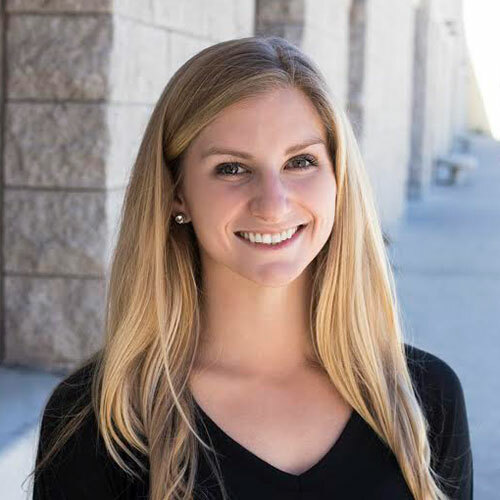 Cali is the Fitness and Wellness Coordinator for Aztec Recreation. She began teaching group exercise classes during her time in college at James Madison University and graduated in 2013 with a degree in Kinesiology, Exercise Science. She is a certified AFAA Primary Group Fitness Instructor as well as an ACSM Certified Exercise Physiologist. Her favorite formats to teach include yoga, dance, TRX, and cycle but she enjoys teaching just about any format. One of her strongest beliefs is to make your heart happy which includes, but is not limited to, your physical well-being. When she is not helping and motivating others achieve their fitness goals, you can find Cali with her dog, Brodie, at the beach, trail running, or hiking!